Richard Jankowitz studied Music Composition at Brooklyn College and earned his Degree in Ophthalmic dispensing from Interboro Institute. As a member of the New York State Society Of Opticians, he is always up on the latest lens technology for your greatest visual comfort. 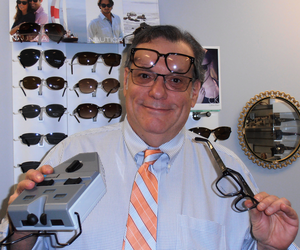 Richard is responsible for fabricating our quality eyewear, frame selection and dispensing, and is proficient in contact lens dispensing and training.